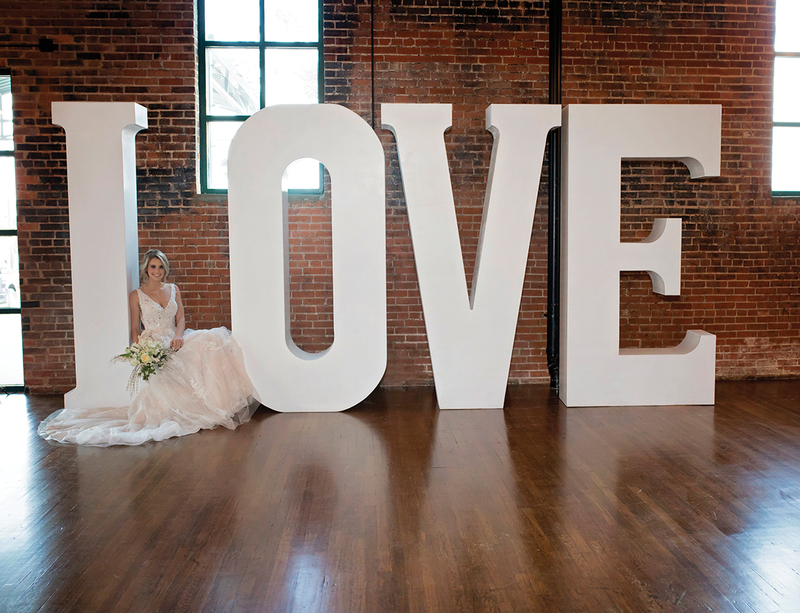 “Love” was the central focus of our latest styled shoot at The Phoenix Ballroom, with dreamy draping and life-sized props. 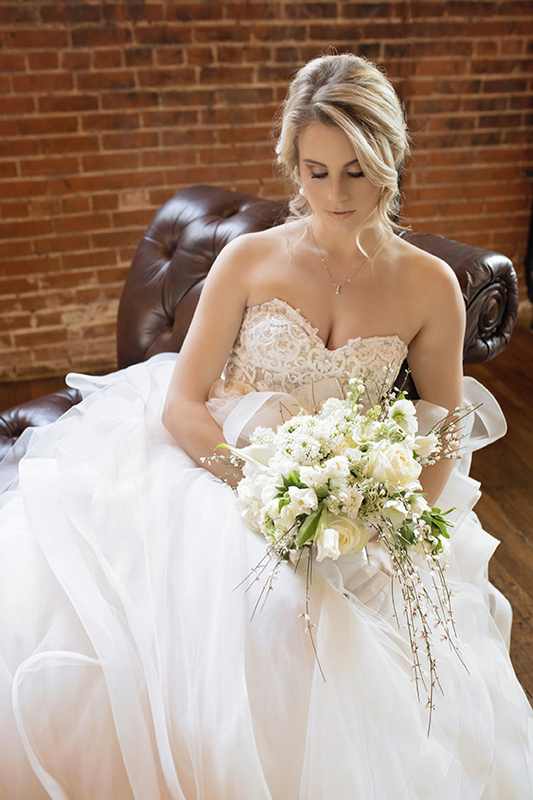 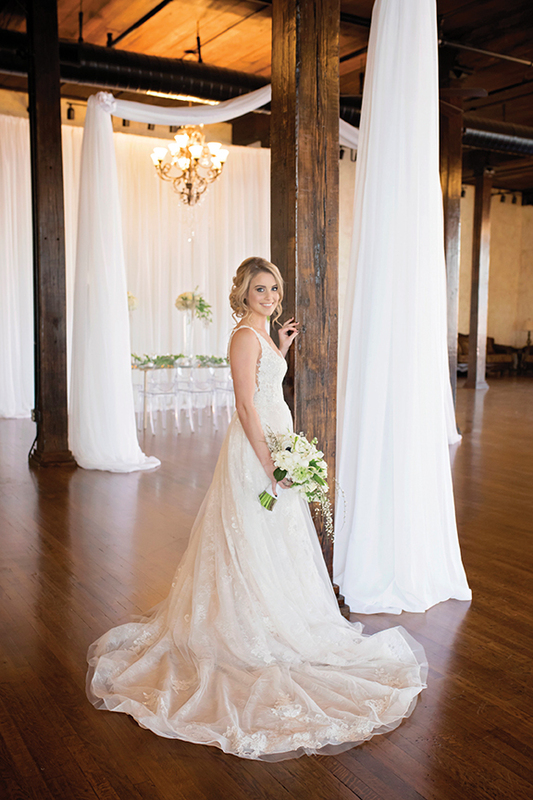 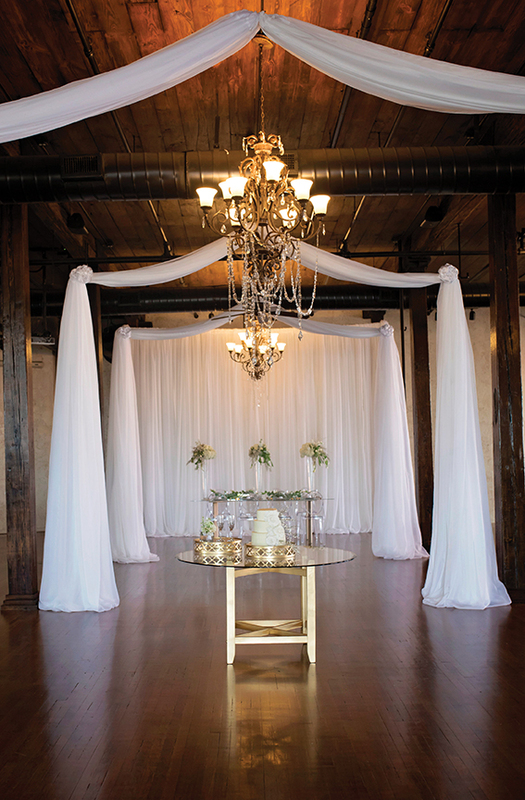 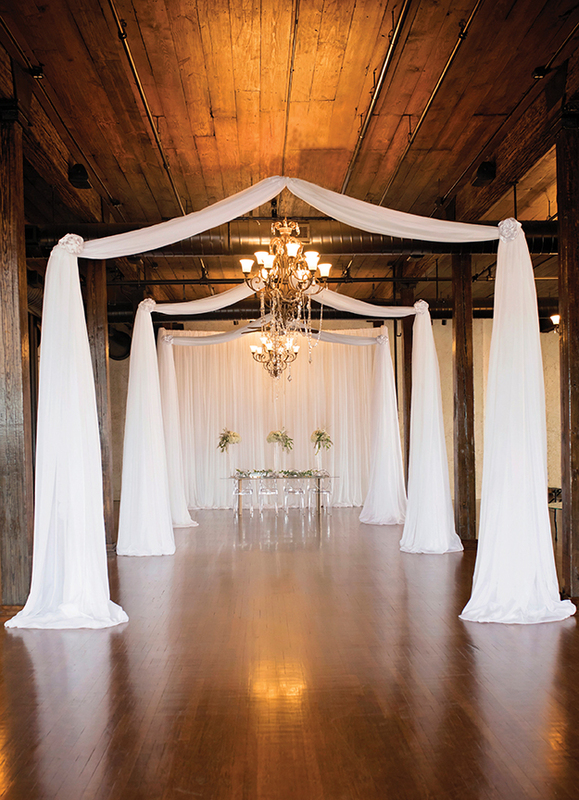 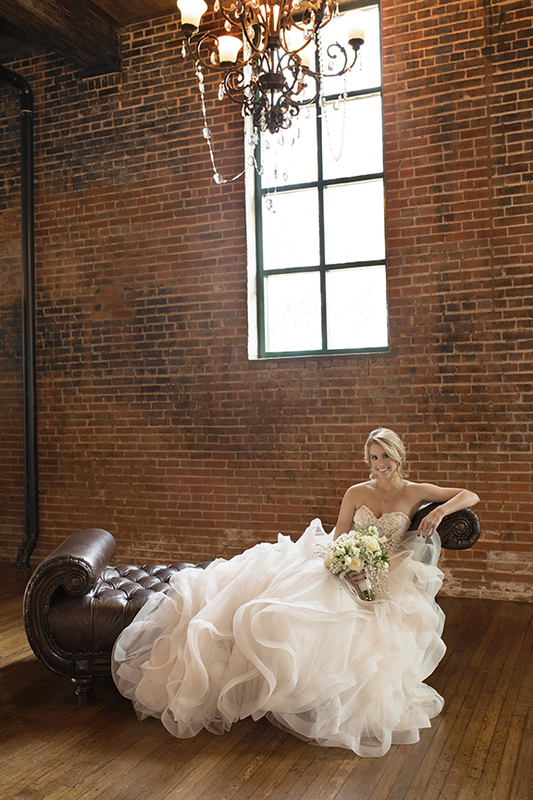 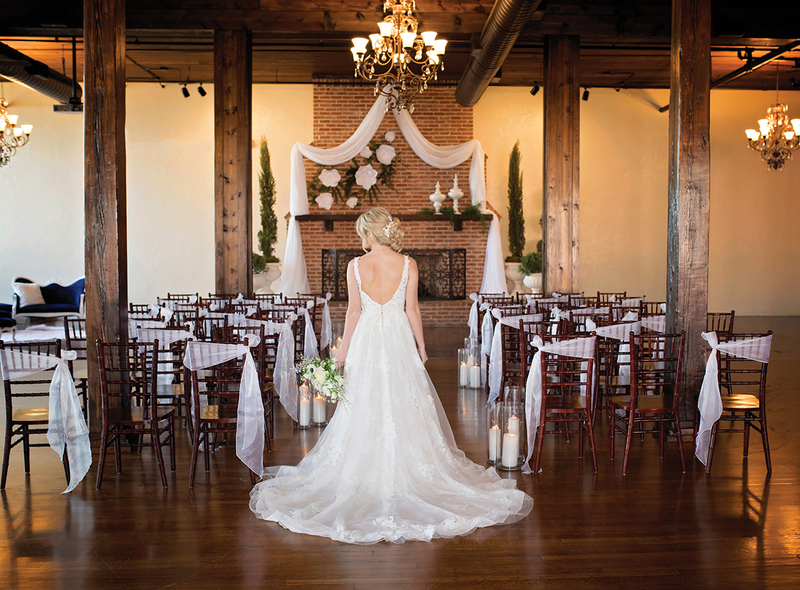 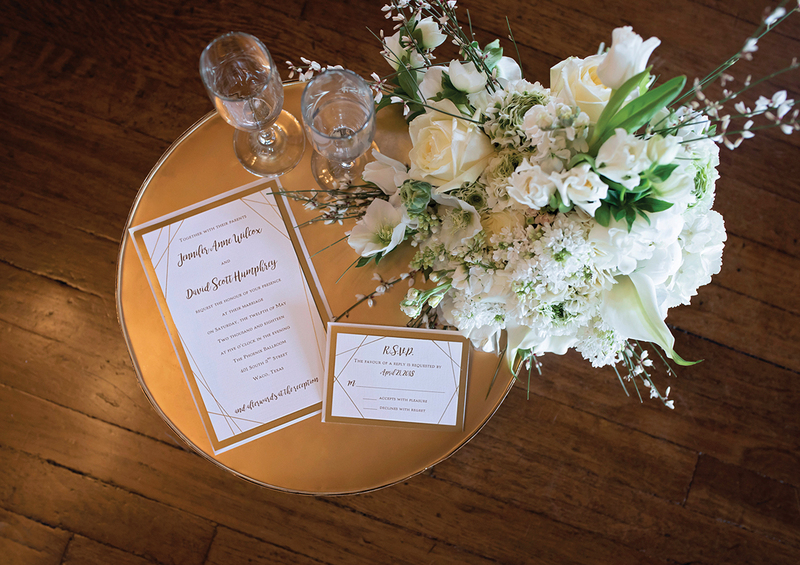 The venue’s polished hardwood floors, exposed brick, and sparkling chandeliers created a solid foundation for textured fabrics, delicate flowers and bright, gold accents. 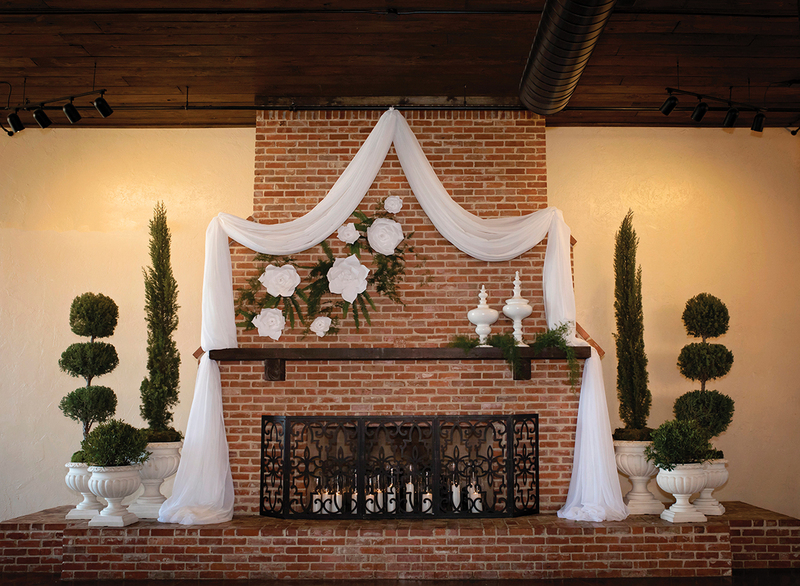 The ballroom’s stately fireplace was transformed to become both the focal point of a romantic ceremony and a sitting area for a sophisticated cocktail hour. 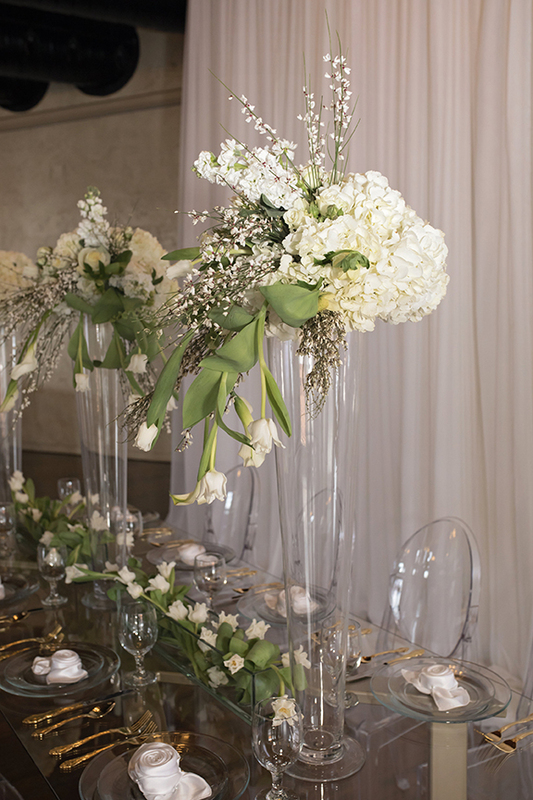 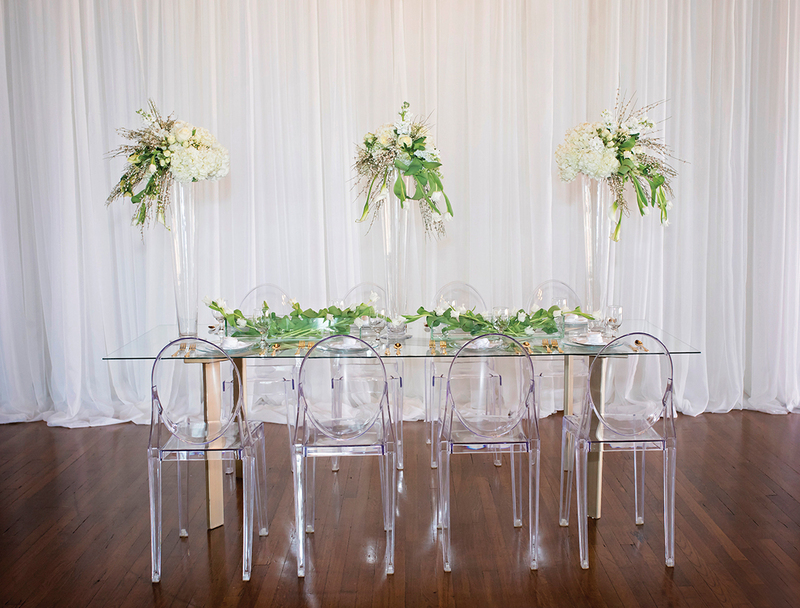 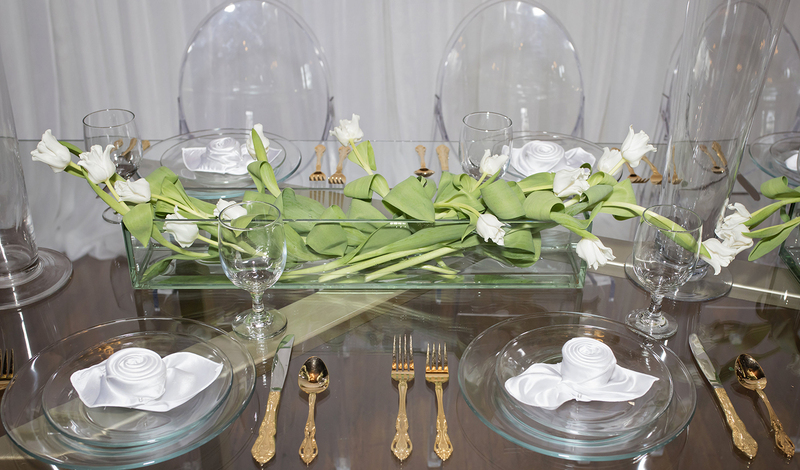 A sturdy glass table adorned with clear, Lucite dining chairs allowed for an unobstructed view of the elegant décor, bright greenery, and soft, white floral arrangements. 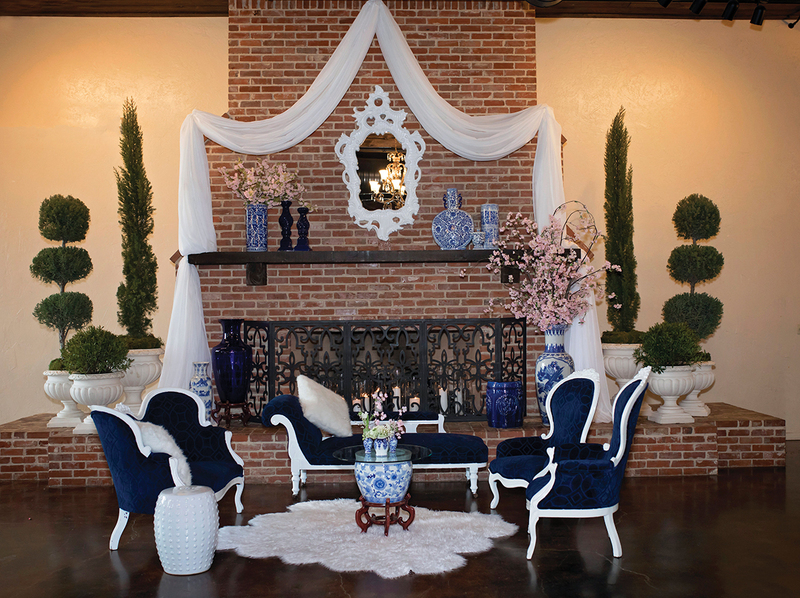 Arm chairs and a fainting couch upholstered with velvety, dark blue fabric make a bold statement against a stark, white faux fur rug and ornate topiary pots. 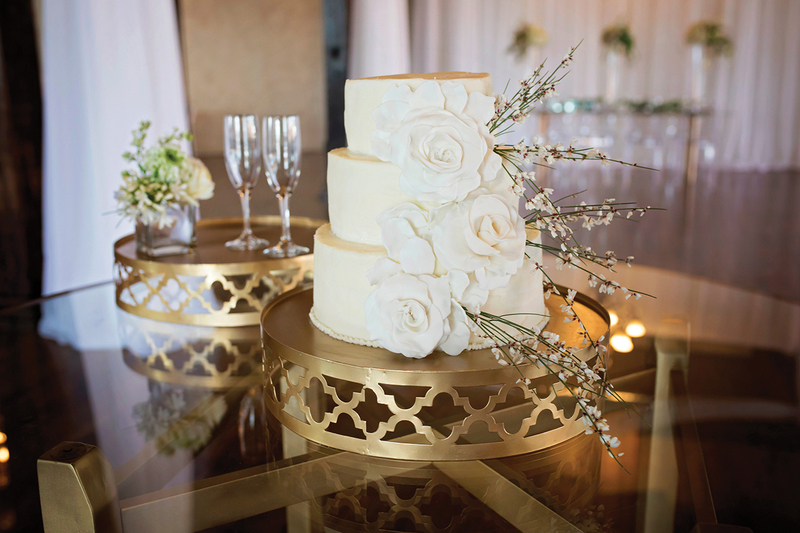 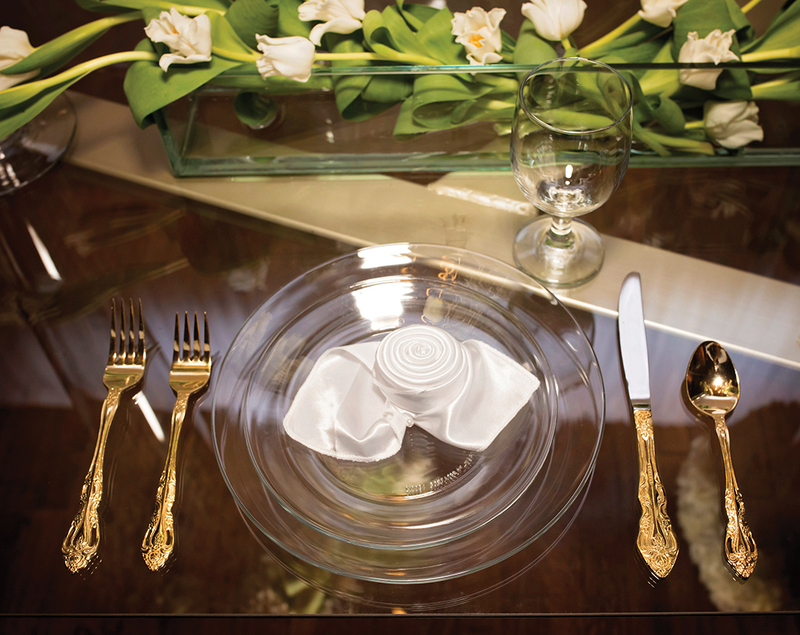 The cake, delicate and eye-catching with a gold base and hand-crafted sugar roses, creates a focal point inside the venue’s airy reception area.